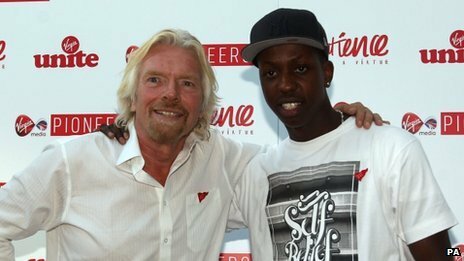 From a teenager on a council estate in west London to self-made multimillionaire, Jamal Edwards hasn’t done too badly for himself in a very short space of time. Jamal is the owner of SBTV, a broadcasting company that makes videos – typically music videos featuring rap and pop music stars – and puts them up on YouTube. Attracting millions of hits, the business continues to make a fortune by taking a percentage of YouTube’s advertising revenues for adverts that are linked to its videos. As word of mouth spread, his videos on YouTube, put up under the name SBTV (the SB stands for SmokeyBarz, Jamal’s own rapping nickname) started to get hundreds of thousands of hits, predominantly from 13- to 30-year-olds. Jamal says he is now set on conquering the US, and further expanding the video content to cover comedy, sport and fashion. Regarding his interest in the latter, he was seen in the front row at September’s London Fashion Week. Others who have seen SBTV’s potential include technology and music investment specialists Miroma Ventures, which last month bought a share in the business for an undisclosed sum. 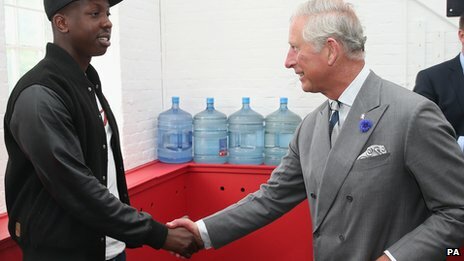 Jamal was also chosen to become an ambassador for the Prince’s Trust, the youth charity run by Prince Charles which supports young people setting up their own companies. “I still get bad anxiety at times, if I have too many things going on. I have to sit down and tell myself to take a breather,” he says. “I think this is one of the most important things for any entrepreneur to remember – that you can’t go 100% all of the time. “Honestly no, I come from a humble background, I’m from a council estate. It is nice to be comfortable, and be able to buy things for friends and family, but I’m not motivated by the money.